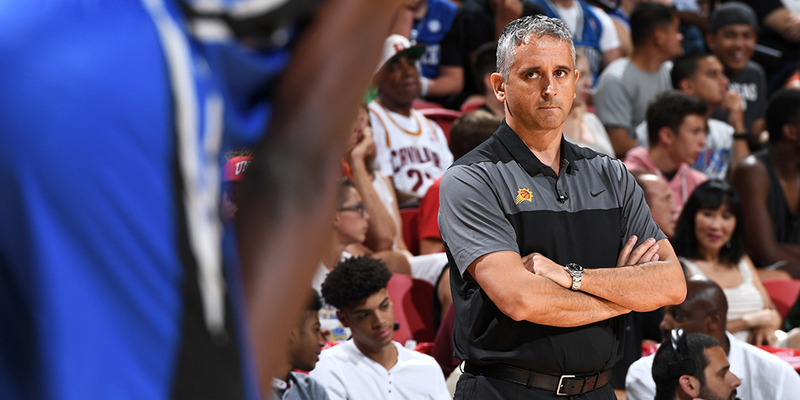 One takeaway from Summer League: new Suns coach Igor Kokoskov is ready to bring a dose of Euro offense to Phoenix. Contributor Ryan Nguyen breaks down some of the sets he ran and what makes them unique. In helping Slovenia to win EuroBasket 2017, Luka Doncic cemented himself as a massive NBA prospect. This fall, we’ll finally get a look at him on American soil, after the Mavericks acquired him in a draft-day trade with the Hawks. But there was someone else on Slovenia’s bench during that tournament who captured the attention of those in NBA circles, and who will also make an anticipated debut this season. Head coach Igor Kokoskov (pronounced ko-KOSH-kov) was the mastermind behind Slovenia’s run to the title, and now will run the show for the Phoenix Suns.